Airtash N 220 Pneumatic Tool Oils :: Tashoil Company Pvt. Ltd.
"TASHOIL" Airtash N 220 oils are recommended for machine tools that rely on sliding ways for precision and accuracy in machine operations. These oils are formulated with high viscosity index, severely solvent – refined or severely hydro treated base oils for health, safety and performance. Airtash N 220 delivers smooth operation under normal and severe operating conditions by reducing friction, providing extreme pressure protection and oxidation stability. 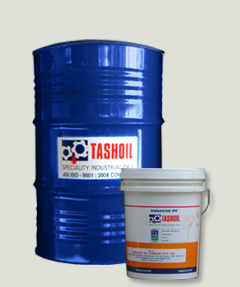 Airtash N 220 oils are designed to be used straight on many industrial applications. The oils are designed to provide smooth stick – slip – free performance on either horizontal or vertical slides or ways. If the viscosity is too heavy it will cause hydrodynamic films to form, which will result in poor size control. If the viscosity is too low it will cause increased wear and erratic performance.